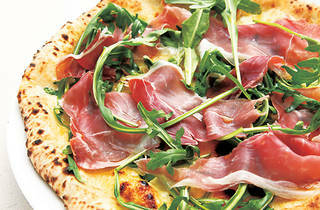 There’s an abundance of pizzerias serving up a slice in Hong Kong. There are spots where you can get a fab fancy 12-inch or a greasy deep dish. But we don’t have a tonne of eateries which provide the real Neapolitan-style experience with speed and authenticity. Napoli’s Pizza & Caffé, which has just opened in a busy basement space in TST, though, is set to bring the pie-lovers in for sit-down meals in its comfy wood-lined space or snappy takeaways on-the-go. Napoli’s is a popular chain in Japan but it’s fairly unknown in Hong Kong. 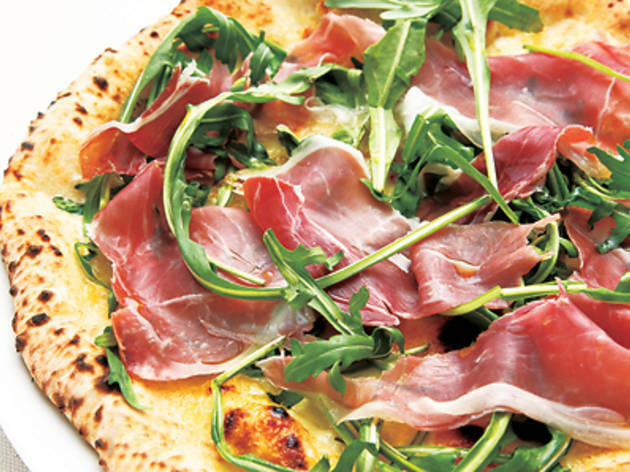 On our visit, we order the eight-inch capricciosa ($55), which is topped with tuna, corn, mozzarella and basil leaves, as well as the eight-inch prosciutto rucola ($78), which comes with ample amounts of both dry-cured ham and rocket. The dough in both pizzas stands out immediately with its chewy naan bread texture. The secret to the dough’s success is an intense 500-degree oven that can cook a pie in 90 seconds flat – sealing in the flavour of the toppings while rapidly creating piping hot pizza crusts. Both pizzas are full of flavour and come as part of a set, with tender, juicy chicken wings, crunchy onion rings and fizzy drinks topping out the meal.